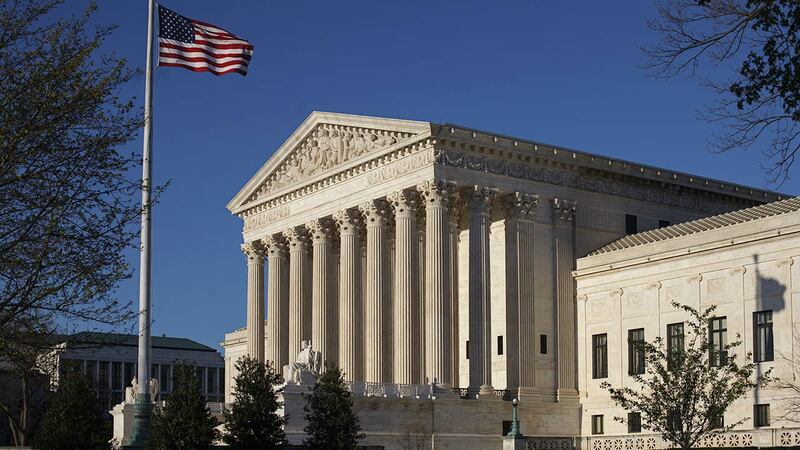 WASHINGTON -- The Supreme Court is letting a limited version of President Donald Trump's ban on travel from six mostly Muslim countries take effect, a victory for Trump in the biggest legal controversy of his young presidency. The justices will hear full arguments in the October in the case that has stirred heated emotions across the nation. In the meantime, the court said Monday that Trump's ban on visitors from Iran, Libya, Somalia, Sudan, Syria and Yemen can be enforced as long if those visitors lack a "credible claim of a bona fide relationship with a person or entity in the United States." The administration has said the 90-day ban was needed on national security grounds to allow an internal review of screening procedures for visa applicants from the six countries. Opponents say the ban was an unlawful bar based on visitors' Muslim religion. The administration review should be complete before Oct. 2, the first day the justices could hear arguments in their new term.